Marrying into the close-knit Sicilian-Irish family meant the stories about risks, gambles, successes and challenges of the previous generations' business ventures heeded as warnings and as lessons to the young couple. Not ones to shy away from creating a story for themselves, a long-awaited trip to Europe to uncover their heritage lead them to establish a boutique winery, called Hill Of Promise Winery, in Childers in 2003. Hill Of Promise is more than just a winery; it's a time capsule for the multicultural family with every glass holding a new story to be told. From stories of Mary and Terry's early days as electrical contractors to memories from times gone by you would find hard to believe in today's day and age. Mary and Terry are captivating and inspiring storytellers carving themselves and their family name into the pages of the history books of Childers. Make sure you stop in to listen to their stories on your next visit to Childers. Ask Terry about his family's Italian café and greengrocer The Valley Café and see what tales unfold. Where Can I Meet Mary & Terry this Winterfeast? Come, be a part of Mary & Terry's story at 'Buon Viaggio! Vino and a View'. Enjoy an intimate wine tasting and Italian lunch with Childers' best storytellers. Where Can I Try/Buy Hill Of Promise Wine? 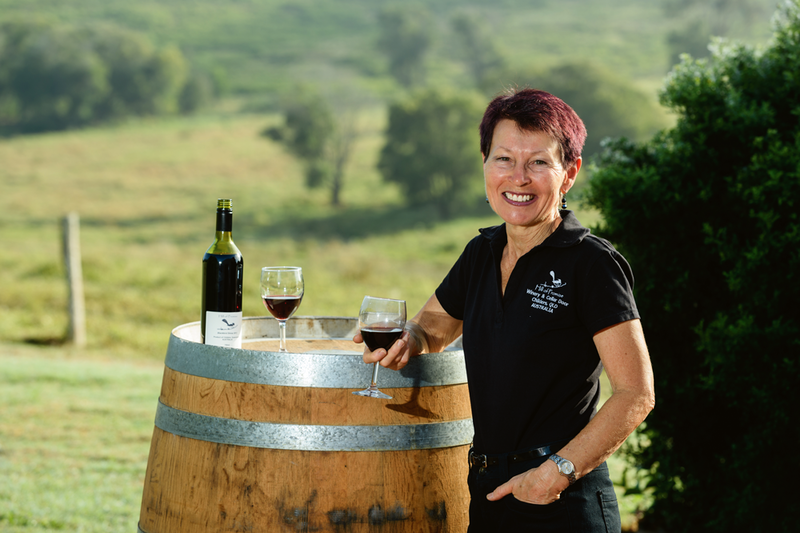 Stop into the Hill Of Promise Winery Cellar Door and meet Maria The Little Cellar Rat and Terranzo The Winemaker at 8 Mango Hill Drive, Childers, open 10am – 4pm daily. If making a special trip, contact first to avoid disappointment.